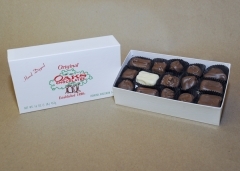 More than one hundred years and five generations later, chocolate lovers from all over still count on Oaks Candy for exceptional quality, value and personal service. Whether you are in the mood for one of our popular assortments, a box of mouth-watering meltaways or a selection of your own favorites you've come to the right place. 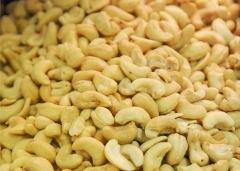 At Oaks Candy, good chocolates are not just a treat. They're a tradition! PLEASE NOTE OUR WEATHER WARNING WHEN ORDERING. WE WILL ALWAYS RECOMMEND OUR CHILLED SHIPPING WHEN DELIVERING TO A WARM WEATHER LOCATION OF 75 DEGREES OR ABOVE! OUR CHOCOLATES WILL MELT AT 75 OR ABOVE AND ARE PERISHABLE SINCE WE DO NOT USE PRESERVATIVES. WE WILL GAURANTEE THE CHOCOLATES SHIPPED TO WARMER CLIMATES IF YOU CHOOSE OUR CHILLED SHIPPING. Copyright © 2019 Oaks Candy. All Rights Reserved.